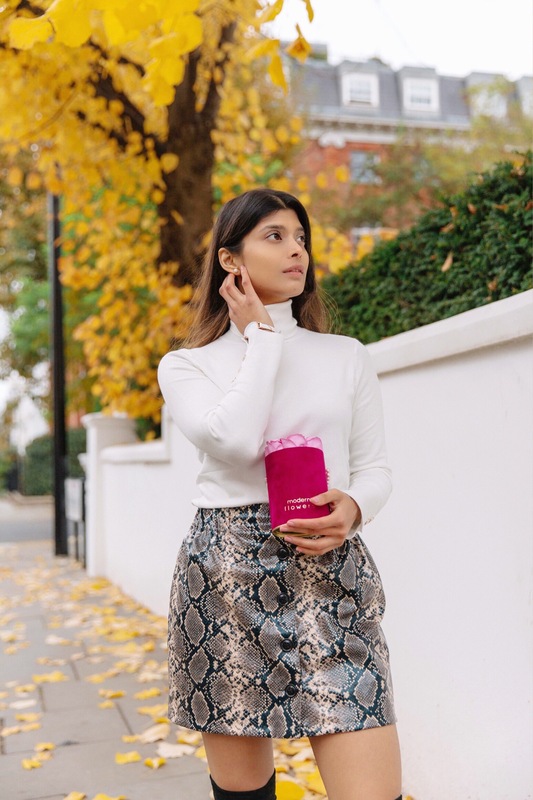 This Autumn / Winter we have noticed snake print everywhere! Snake print made its first appearance at the New York, London, Milan and Paris Fashion Weeks. 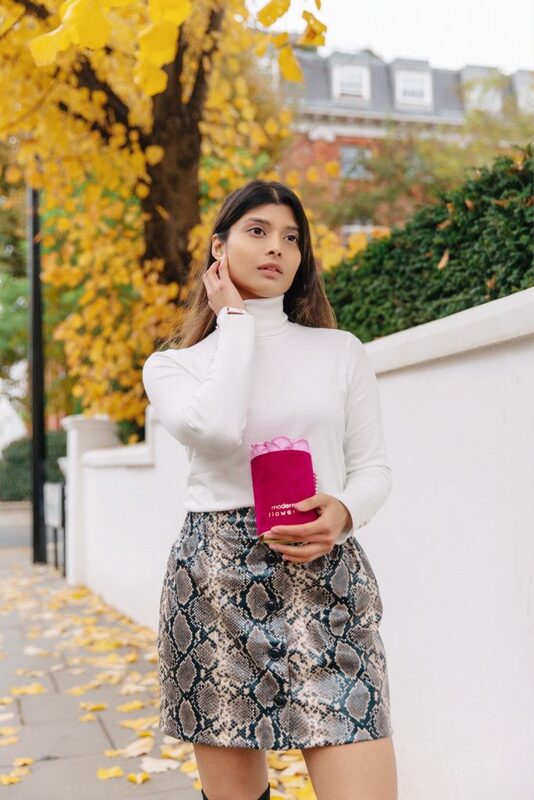 This print is working its way into wardrobes everywhere and bloggers on instagram can’t seem to get enough of it. I usually stay away from prints because I feel the style does not last more than a season. Prints can be overwhelming, so I am showing you two very simple yet sophisticated ways to style this print. 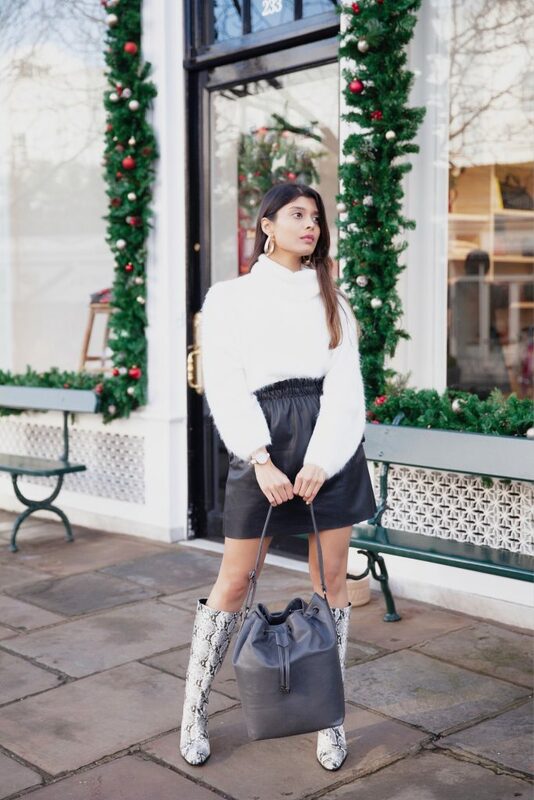 I Styled this skirt with a white polo neck and over the knee black boots. I feel when working with prints it is best to wear a neutral colour like black or white. The beautiful flowers are by Modern Flowers. 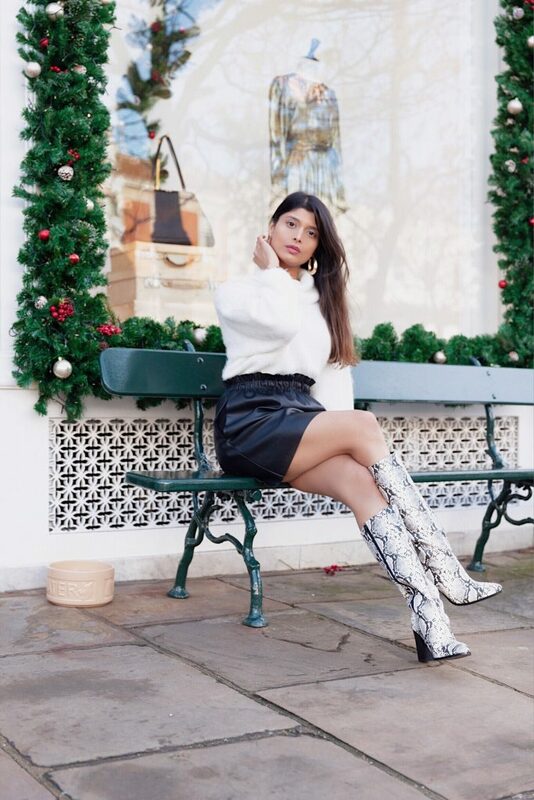 These boots are such a statement piece to add to your wardrobe. I paired it with a black skirt and a white jumper. I kept it simple with gold oval hoop earrings and this beautiful bag from Osier studio. The key to styling prints is to keep everything else simple. 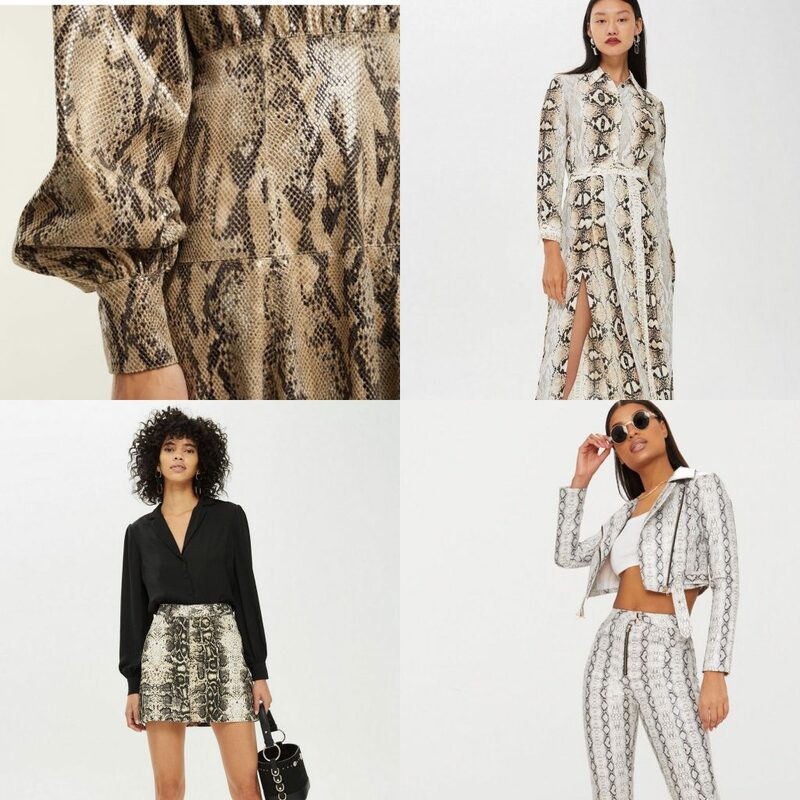 Here is some more beautiful snake print inspiration so you can see there are endless ways to wear this trend. I love the shirt dress it is effortless and so chic! I love the red lip so much, it really compliments this print.